Rob Whitlock shares how he recorded his Debut CD "Sketchin'" to have a big label sound with no help from the majors, and tells stories about recording with some of the most colorful and iconic personalities in jazz on Jaijai Jackson's "Woman of Jazz" radio show on Xradio.biz. It was a joy to be a part of the Rob Whitlock project. In addition to his being a fantastic player/composer, Rob has a knack for bringing out the best in the musicians with whom he plays. This was fun. Unknown Rob Whitlock has assembled an unlikely cast of jazz heros including eleven time Grammy Award winner Michael Brecker for his debut solo CD "Sketchin'." Also handpicked by Rob for the lineup, a rare find on electric contrabass, is none other than the great Anthony Jackson, paired with the incomparable Vinnie Colaiuta on Drums. On Jaijai's interview with him, Whitlock plans to reveal, how he got Scott Henderson to step out of his usual role of jazz fusion guitar god to spice things up with a humorous and ripping approach to Rob's earthy and accessible compositions. He'll share how he got great rates on big studios like Capitol Records to achieve a big label sound, give his opinion on why recording at Capitol Records was a must, and tell stories about what recording with these jazz superstars is really like. Rob will detail why he also chose up and comer Cliff Almond on Drums, good friend Pat Kelley on guitar, former colleague Othello Molineaux on steel pans and a surprise appearance by his dad, Bob Whitlock, a former teacher of bass innovator Jaco Pastorius. Rob has been playing the Hammond B-3 Organ since age eight, when his father, a well respected jazz guitarist in Miami/Ft. Lauderdale encouraged him to do impromptu concerts in their family living room for professional musician friends. The young musician quickly learned how to make a living by gigging around the area on keyboards as well as bass. After having played with great musicians like Jaco Pastorius, Randy Bernsen, Othello Molineaux, Carl Fontana, Joe Williams, Bill Watrous and "The Peter Graves Big Band," as well as a host of unknown, but extremely talented New York transplants, Rob relocated to California at age 25. In California, Whitlock became involved with some gifted musicians and formed a band playing contemporary jazz by groups like "The Brecker Brothers," "Yellow Jackets" and performed songs by writers Victor Feldman, John Scofield and Don Grolnick, as well as their own originals. During that time Max Bennett of "Tom Scott and the LA Express" asked Rob to join his originals band, of which he is currently still a member. Not long after, he began touring with "The Jazz Crusaders" through the US and Europe. With AJ Croce, while playing B-3 he toured Scandanavia, as well as many other destinations with the Dazz Band and Fattburger for festivals and concerts. 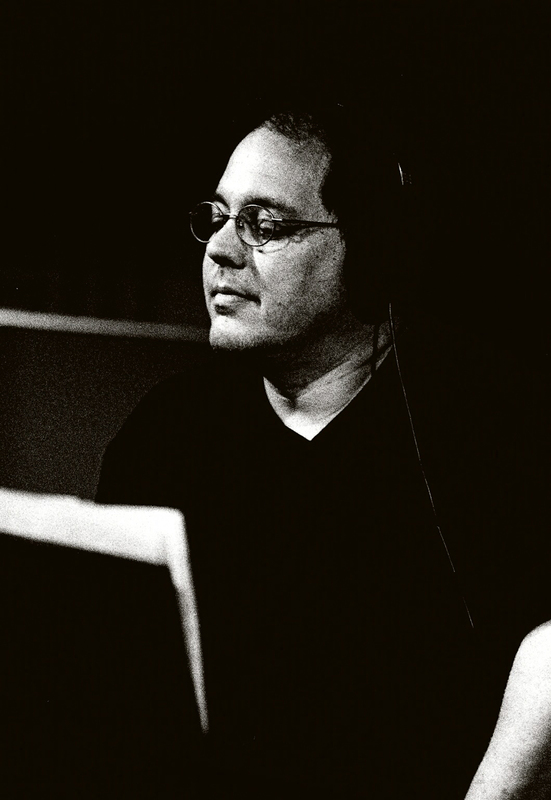 Rob has recorded on anywhere from Kathie Lee Gifford and Rita Coolidge, to Fattburger, Pat Kelley, Wayne Johnson and Max Bennett albums, ranging from pop to the many jazz genres. He has also been on recordings with legendary musicians like Vinnie Colaiuta, John Guerin, Joe Sample, Russell Ferante, Tom Scott, Warren Wiebie, Anthony Jackson and including greats Jeff Lorber, Will Lee, Bill Berg, Jimmy Johnson, Greg Bissonette, and Othello Molineaux. Concert and club appearances include; Eddie Harris, Abe Laboriel, Jaco Pastorius, Joe Williams, Joe Sample, The Dazz Band, Bobby Shew, and Wayne Johnson. Television appearances include "Austin City Limits," "Sound FX" on Fox, "The Wayne Brady Show," Katie Lee Gifford's most recent TV concert, "Gentle Grace," and others. Whitlock, a naturally gifted musician finds himself equally comfortable writing, arranging and producing music, soloing spontaneously or comping supportively behind other soloists, making them sound even better themselves. It's easy to tell that Rob enjoys playing and even more enjoys whom he's playing with. In the words of eleven time Grammy Award winner Michael Brecker, "It was a joy to be a part of the Rob Whitlock project. In addition to his being a fantastic player/composer, Rob has a knack for bringing out the best in the musicians with whom he plays. This was fun." Musicians with this balance of style and grace are not as easy to find as one might think. Finding expression through an artist with this combination of gifts is what truly makes music a language in it's own right, and Whitlock speaks it fluently. For additional information about Rob Whitlock and his music, to purchase CDs and to find out where this music will be performed live, visit http://www.robwhitlock.com. The online shop also contains other fun items for purchase. Listen live to Rob on Jaijai's show at http://www.xradio.biz/lasvegas at 8 p.m. Nov. 23, 2005. Copyright Sketchin Records, all rights reserved 2005.